An estimated 1.3 million adult New Yorkers (almost 1 in 8) now have diabetes. Almost 28% of Latinos and Hispanics in the New York City market, and 31% of African American New Yorkers, have diabetes. In New York City during 2007, 22 African Americans and 23 Latinos of every 100,000 died from diabetes. I worry about diabetes. The Husband's parents are both diabetic and so is my grandfather. There is also a family history of obesity, heart disease, cholesterol and high blood pressure. The Husband is over 40 years old and has been on medication for high cholesterol on and off for the last five years. 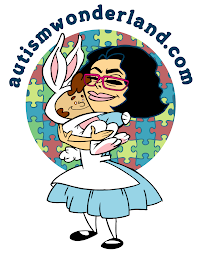 Being the parents of a special needs child, our personal health is of the utmost importance. We want need to live for as long as we can and be as healthy as possible. We need to EDUCATE ourselves and modify our lifestyle and eating habits. We need to teach The Boy how to eat and take care of himself so that he isn't at risk for diabetes. George Torres aka the @UrbanJibaro of Sofrito for Your Soul has started the social media campaign #PorTuFamilia to raise awareness about Diabetes in the Latino Community. And this Saturday in The Bronx there will be an amazing family friendly event. 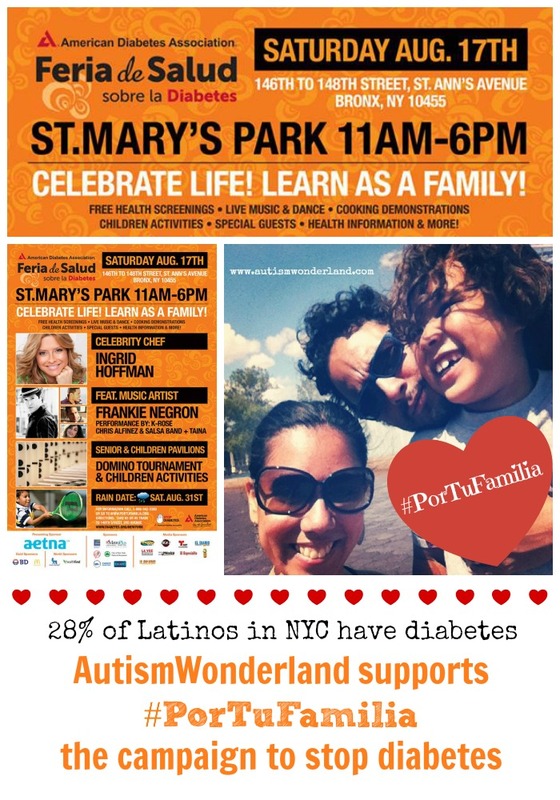 Feria de Salud is an outdoor community event, that reaches thousands of Latino/Hispanics with the important message that they may be at risk for diabetes. Feria captures the festive elements of a street fair, but maintains the important aspects of choosing and managing a healthier lifestyle for the entire Latino family. Join us for free health screenings, live music and dance, cooking demonstrations, children activites, healthy information and more!